Opentech ranked third in the Mastercard’s worldwide Directory of Digital Wallet providers. Come see Opentech’s live demo at FinovateEurope next week. Yoyo named Best Mobile Payment Solution at MPE Awards. Come see Yoyo’s demo at FinovateEurope next week in London. CapitaWorld launches smart loan disintermediation ecosystem for micro, small, and medium (MSM) enterprises. Unison launches 5% down payment program in conjunction with an 80% LTV mortgage. Sberbank adds Google Pay and Samsung Pay services for the customers using its business cards. Railsbank partners with Carta Worldwide. Lendio Franchise Announced in Clemson Region. The app is available for free and can be downloaded from the Apple Store and at Google Play. MyCard supports English, Italian, German, and French. Calling the new release “an important milestone for our OpenPay platform,” Opentech CEO Stefano Andreani praised his company’s partnership with MasterCard and highlighted the functionality of the OpenPay platform. Andreani noted that e-commerce features such as MasterPass and proximity payment via MDES give banks a solution that can be easily customized. All of this, Andreani added, with the “scalability and robustness of a product distributed on a global scale.” The OpenPay platform features a direct interconnection with the MasterCard ecosystem, giving FIs the ability to get personalized, feature-rich wallets quickly to market without excessive burdens on IT. 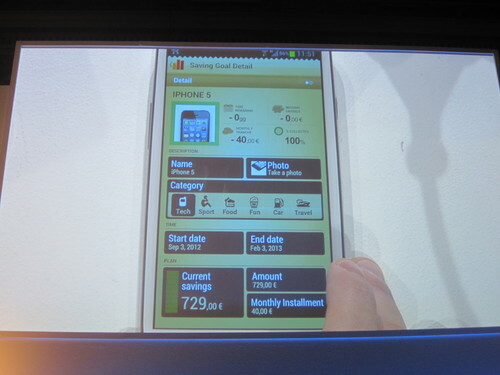 Founded in 2003 and headquartered in Roma, Italy, Opentech demonstrated its Enhanced Hybrid Apps at FinovateEurope 2013. Fiserv announces its new biometric authentication solution, Verifast: Palm Authentication. INETCO to power real-time transaction monitoring for Turkey’s Central Processor for Bank Payment Cards, Bankalararasi Kart Merkezi (BKM). ThinkAdvisor looks at how Blackrock is taking on Schwab and Vanguard with FutureAdvisor. ebankIT expands its headquarters facilities in Porto to grow R&D team. Corezoid moves platform-as-a-service core banking engine to AWS. Blackhawk Network Appoints Sachin Dhawan as CTO and SVP. 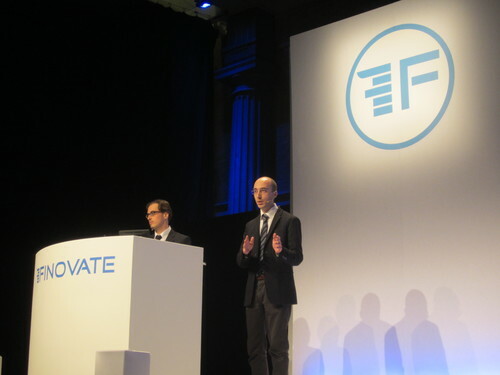 “At Finovate we are launching a revolutionary approach to mobile finance with our suite of Enhanced Hybrid (TM) apps for mobile banking and mobile payment. Metrics: In the last 4 years revenues have grown from €800K to over €4M. Five out of top 10 banks in Italy chose OPENTECH mobile banking product.